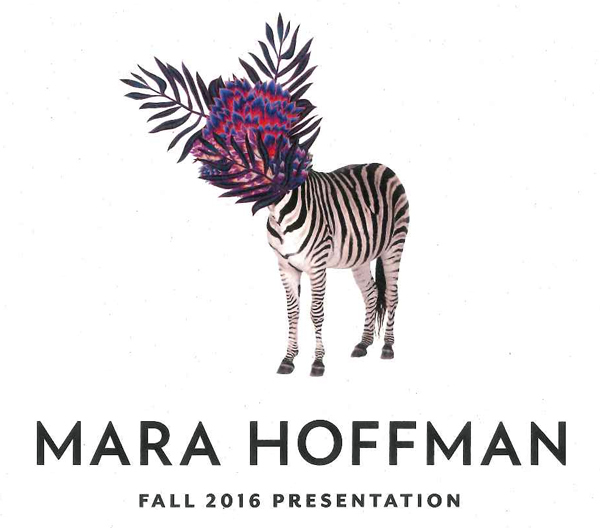 Yesterday, I was lucky enough to enjoy the special experience of attending Mara Hoffman’s Fall ’16 ready-to-wear presentation. 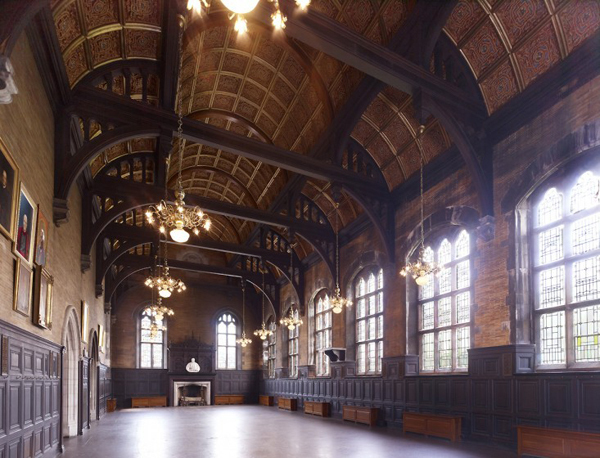 The inspiring collection was set against the historic neo-Gothic backdrop of the Refectory event space at the High Line Hotel – a grand room originally (and opportunely) named Hoffman Hall, in honor of Dean Hoffman, the visionary behind this late 19th century building development for the General Theological Seminary. 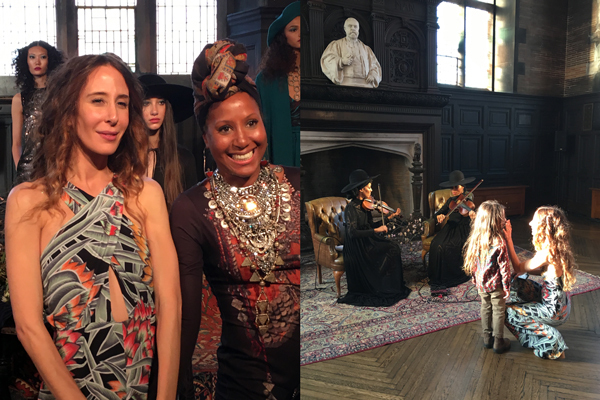 To no surprise, every aesthetic detail was considered for yesterday’s event – from the handing out of tarot cards at check-in to live music by Chargaux, an of-the-moment Brooklyn based string duo. Yet having just come in from single digit temps outside, the hall seemed especially crowded with everyone still clad in their warmest accouterments. 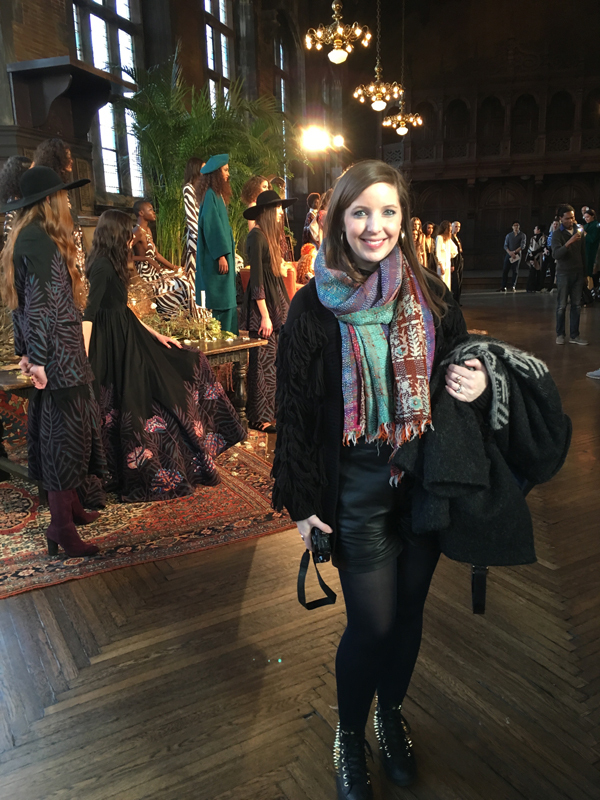 At first this made me wish that the event had been organized in a more traditional catwalk format, but once I spotted the tall, radiant Mara, bustling in and out of the sea of bundled guests, I realized that I wouldn’t trade this intimate gathering for anything. Throughout the presentation she stayed busy saying hi and hugging everyone she knew, as well as taking moments to share the excitement with her adorable young son. Women’s Wear Daily more specifically reported that the presentation, “was based on an imaginary dinner party attended by her three muses: Jerry Hall, Grace Jones and Cher.” With Mara further explaining, “I wanted to represent a woman’s journey, a woman who has traveled all around the world.” As an avid follower of the Mara Hoffman Instagram account, I know that Mara truly lives this dream – just in the last few weeks I admired her vibrant photos from a trip to Peru! 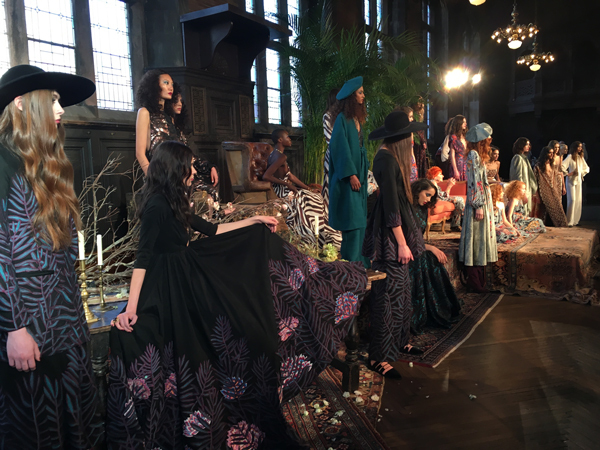 If Mara’s Fall 16 collection allows its wearers to experience even just a taste of her worldly journey (through time and space, no less?) then I’ll be the first customer in line. Mara Hoffman fringe sweater, Rag & Bone leather overalls, upcycled silk scarf from an NYC flea market, vintage Icelandic wool coat, Converse Limited Edition Punk-Pack studded sneakers.